in order to keep the creative juices flowing! We had three honorable mentions for the challenge last month. I decided to invite them to guest design for the challenge this month so that they can inspire us with their creativity. Here is what she has to say! I am Raga from Perky Hobby! 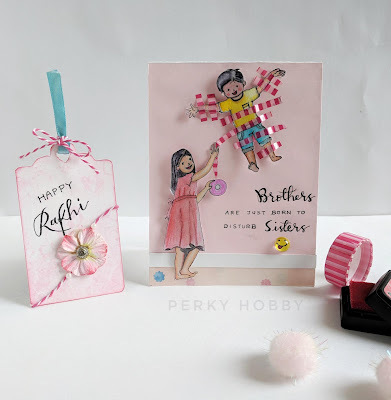 Im super thrilled to be guesting for Paru's Card Making Challenges 'Family' challenge this month. Thanks Paru for this opportunity! I'm originally from Chennai, Tamil Nadu, currently residing in Gurgaon, Haryana, with my husband and two adorable kids (daughter of 6 and son of 3 years). I'm a computer application graduate and I have chosen to be a stay at home mom. I started crafting a year ago. I love to illustrate and mostly all of my cards consist of my sketches and handwritten sentiments. I think I enjoy making CAS style cards by incorporating interactive parts at times. Check out my work at my blog http://www.perkyhobby.com/, and on Facebook at https://www.facebook.com/perkyhobby/ and on Instagram @perky_hobby. is celebrated to cherish the bond of brothers and sisters. 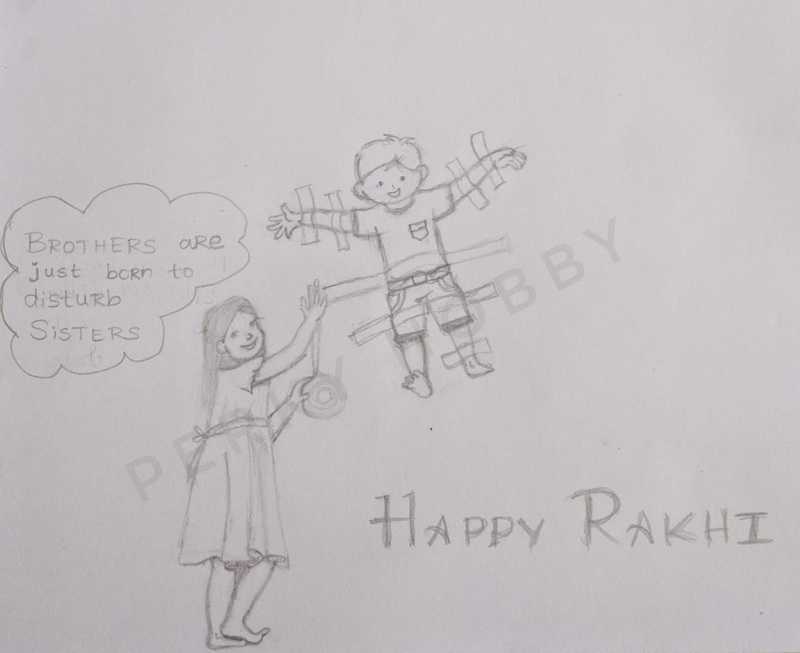 To make this Rakhi card, I took A2 size white cardstock and created the wall and floor scene using patterned papers. I sketched my figures, watercoloured them and adhered them on the front panel using foam tape and I gave washi tape to the little girl to mount her little cute brother over the wall for his mischievous behaviour. I finished the card with a handwritten sentiment. 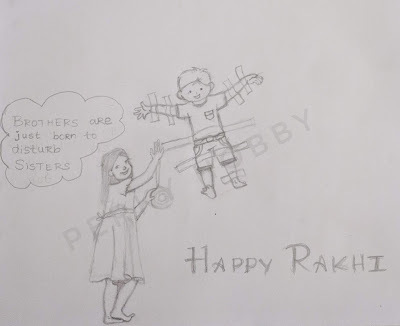 for the rakhi and the sentiment to complete it. 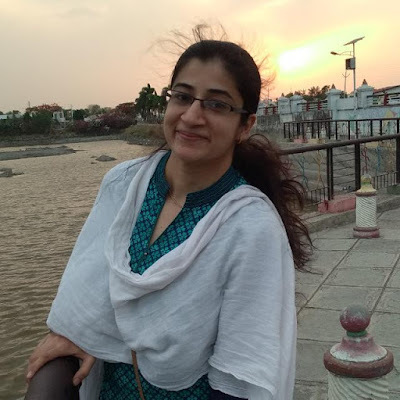 I hope you are inspired to join in and play the challenge! This is Mugdha Gujarathi from Craftomania. I am an MBA turned full time crafter and mother of a cute little boy. I love card making, quilling and to experiment with limited supplies. 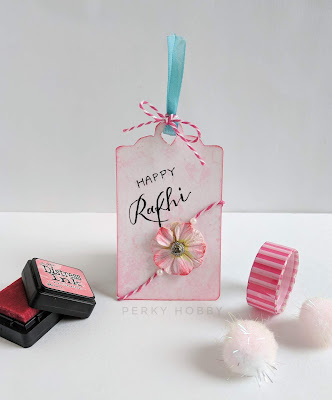 I started my blog in November last year and Paru's Card Making Challenges is one of the few challenges I participated in for the first time and I won it too! 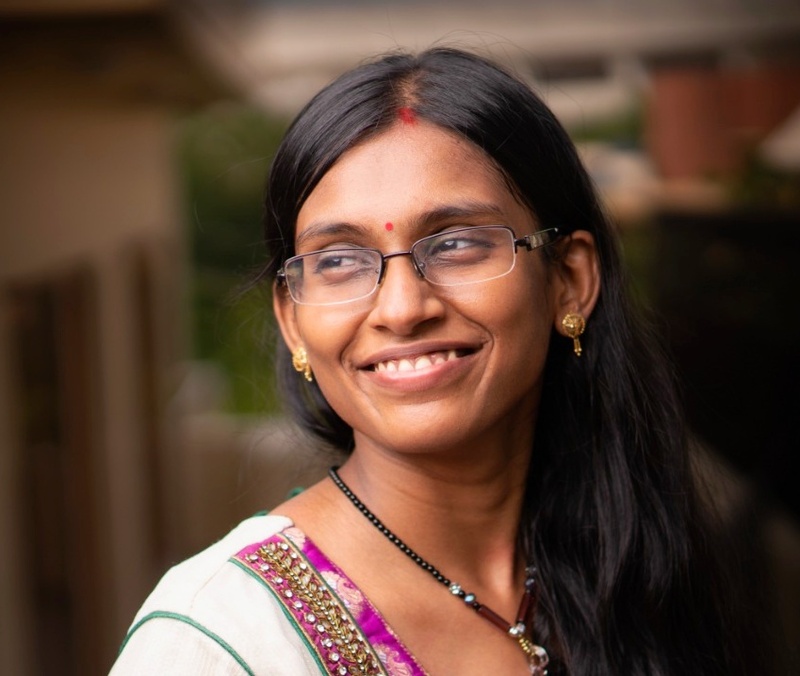 That was the kickstart to my crafting journey and today I am glad to be here. Thank you so much Paru for inviting me over! 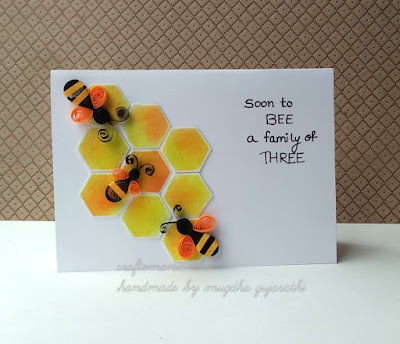 This month's theme is "Family" and I have made a quilled card. I hope it inspires you to play along. Thanks so much for stopping by! Do leave some love for these beautiful ladies and their amazingly creative work! Join in and play my FAMILY challenge. Challenge ends on the 25th of August and the winners will be announced on the 28th. Congratulations to both the guest designers ! Very unique inspirations .